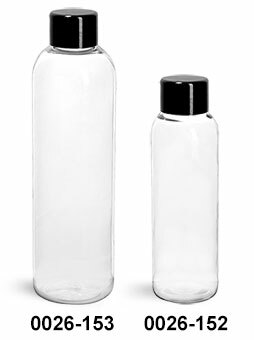 These clear PET cosmo round bottles come with black smooth pressure sensitive lined caps. The PS22 liner adheres to the opening of the bottle once the cap is screwed on. 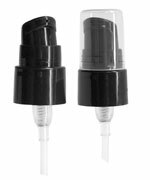 When the cap is then removed the side of the adhered liner that is facing up reads, "Sealed for your protection".